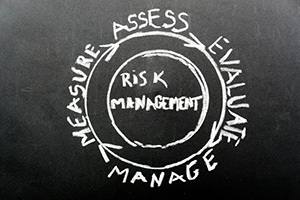 TrackArt provides a broad range of risk management consulting services. In all endeavours, highly qualified consultants with extensive specialised experience built up over many years in diverse, yet arts-related, sectors are employed. Transport risk assessments and recommendations compliant with insurance conditions. Risk assessments of the local environment, temperature, humidity, lighting, hazardous substances and pest control with recommendations for remedial and preventative conservation. 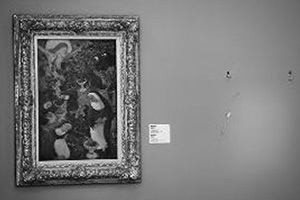 International circulation of stolen/lost objects on international databases (both public and private) providing screening of worldwide art markets. 2019 © TrackArt. Website Design Hong Kong by Jump. All materials on this web site are the copyright of TrackArt or are reproduced in good faith to give links for other copyright owners. All rights are reserved. No materials from this website may be copied, modified, published, broadcast or otherwise distributed for commercial use without the prior written permission of TrackArt. TrackArt makes no warranties or representations of any kind concerning the accuracy or suitability of the information contained on this web site for any purpose. All such information is provided “as is” and with specific disclaimer of any warranties of merchantability, fitness for purpose, title and/or non-infringement. TrackArt makes no warranties or representations of any kind that the services provided by this web site will be uninterrupted , error-free or that the web site or the server that hosts the web site are free from viruses or other forms of harmful computer code. In no event shall TrackArt, its consultants or people engaged by TrackArt be liable for any direct, indirect or consequential damages resulting from the use of this web site. TrackArt is committed to protecting your privacy online. Our policy explains how we will do this. In some instances TrackArt will collect email addresses. On some parts of the site we ask you to register, and if you do we ask for your name, email address, geographical address and sometimes other personal information. This will be kept private and for use between TrackArt and said party only, unless said party gives TrackArt permission to pass on such details. We use the information to help us understand more about how our web site is used, to improve our site, and to send you information about us and our services which we think may be of interest to you, both electronically and otherwise. We do not sell your personal information to others. Recent changes to Hong Kong’s Personal Data regulations relate in particular to the use of personal data for “direct marketing”. TrackArt is committed to handling your personal data with the greatest care and confidentiality, and in accordance with Hong Kong laws. The personal data TrackArt collects is used for the administration of the company and for directly related purposes. It will not be transferred to third parties, nor, as stated, will any email addresses be sold on. Unless you have informed us that you do not wish to receive further information about our products and those of our affiliates and partners (current and/or future), we and they may send you direct mail. Links to other web sites are provided by TrackArt in good faith and for information only. TrackArt disclaims any responsibility for the materials contained in any web site linked to this site.